The thought of getting family pictures done with little ones can be overwhelming. I like to make Fun Family Photos with Little Ones come to life. Whether it takes a bit for your little one to warm up…or they don’t want to wear that button up shirt we work thru it. Often times its just a matter of setting everyone at ease and having a little fun. Jumping, peek a boo, moving around, changing poses, making funny faces, busting out the animal noises, tickling, singing…Listen, There is NO SHAME in my Getting Kids To Smile Game! And Ended at another. We actually went to three locations…all within walking distance so we could play and talk while we walked. It also helped the kids to warm up to me and get used to my silliness! 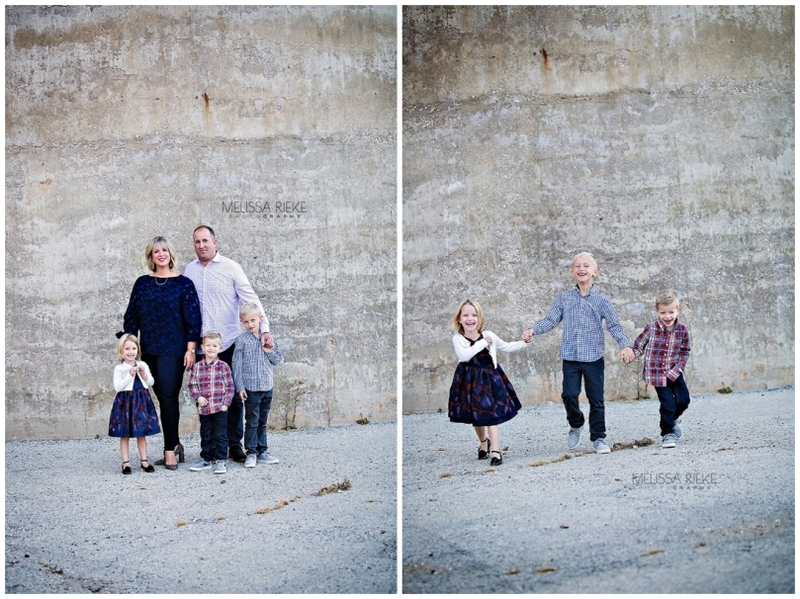 Find more Family Session Ideas here.